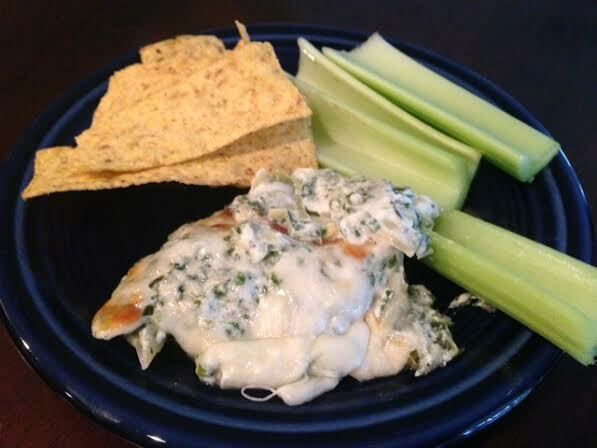 Spinach & Artichoke Dip With A Kick. 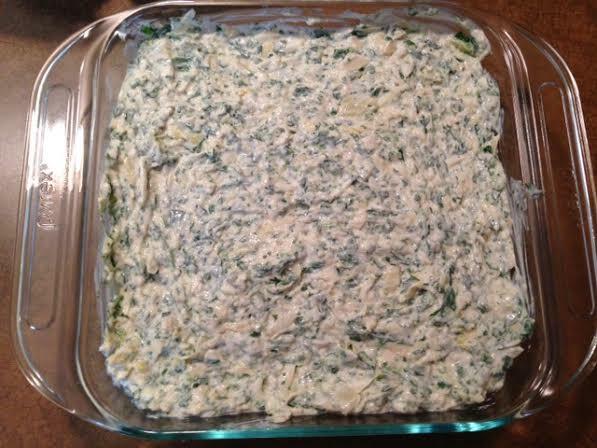 Reduced-Fat Jalapeno Spinach & Artichoke Dip. 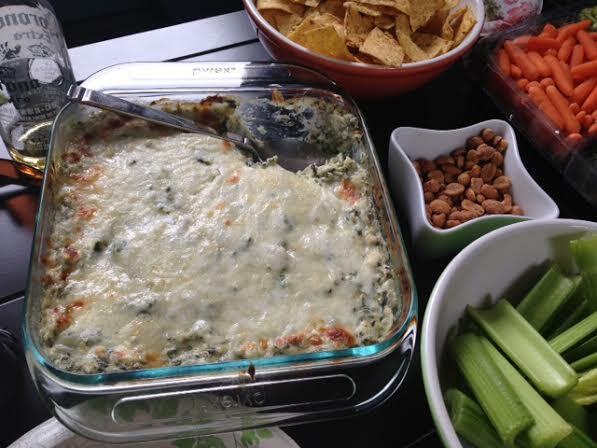 I love a good dip for a party, so when we went to my friend Maria’s house for a Memorial Day BBQ I made this scrumptious spinach and artichoke dip. 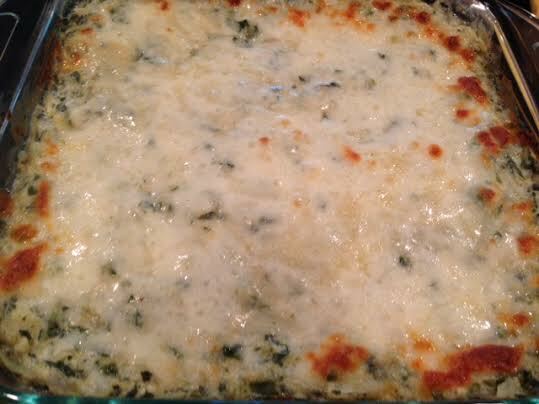 This wasn’t your every day spinach and artichoke dip though – this had some HEAT! I added jalapeno and cayenne pepper to give it an extra kick. It’s also reduced-fat, so that’s always a plus. I served it up with tortilla chips and celery. It was super yummy! Line the bottom of a large mixing bowl with two layers of paper towel and place the thawed, frozen spinach onto the center of the paper towel. Roll the paper towel over the spinach and squeeze any excess liquid out from the spinach. Dispose of the liquid and place the spinach back into the large bowl. Put the artichokes in the food processor and pulse 3-4 times to do a rough chop. 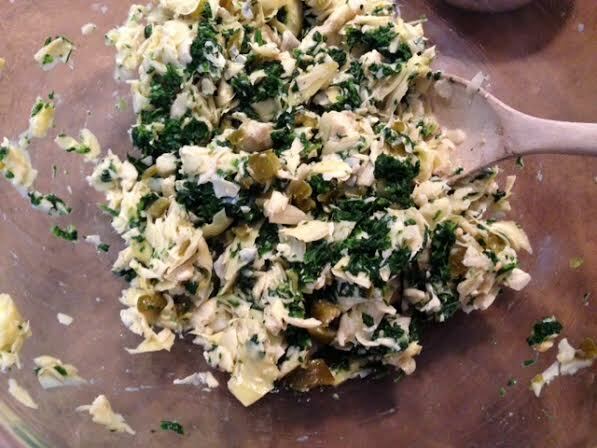 Chop the jalapeno slices into small pieces and then combine them with the spinach, artichokes and add in the sour cream, Parmesan cheese, mozzarella, Monterey Jack and dry ranch mix. Season with a dash of garlic salt and cayenne pepper and mix well to combine the ingredients. 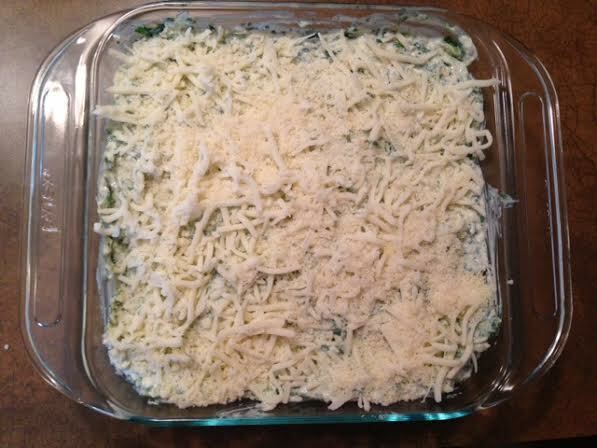 Pour the mixture into a baking dish and top with a sprinkling of the three cheeses. Bake in a 400 degree oven for 1 hour, until bubbly. ← Arugula, Apple & Brussels Sprouts Salad.